A family oriented mid-cabin with a lot to like. 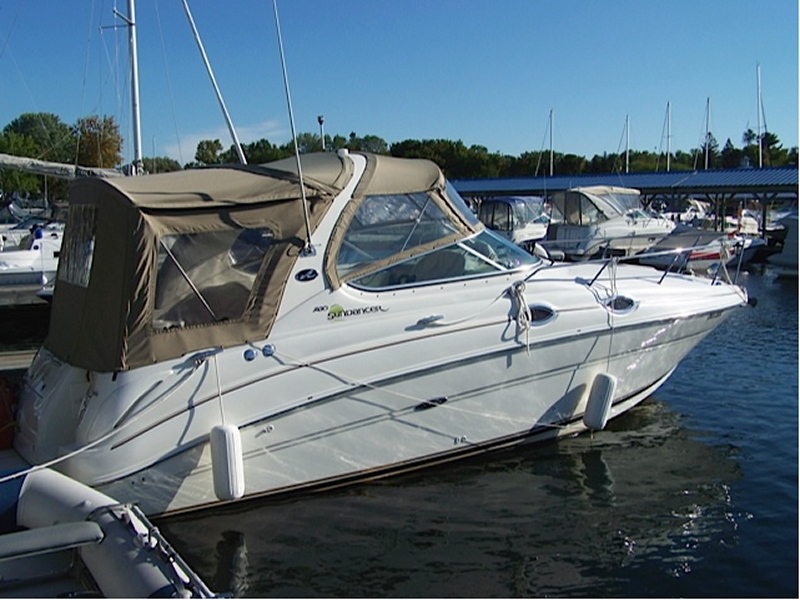 The 280 Sea Ray has berths for 4 adults and 2 children and makes maximum use of available interior space. The large, single-level cockpit includes an aft-facing sun pad opposite the helm, as well as passenger bench seating and a convenient wet bar for refreshments. A large storage compartment is built into the transom, and molded steps at the helm provide easy access to the walk-thru windshield. This 280 is loaded with options including generator, heat/air, windlass, extended swim platform and a camper canvas system.